Oozing cool, this stylish and heady gangster pic is may not stretch beyond the standard hoodlum's rise and fall narrative, but it's executed with such panache that it's hard to fall in love with it. 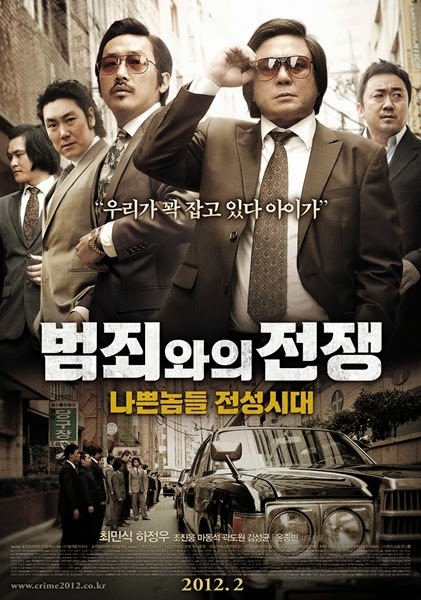 Ha Jung-woo, Korea's answer to Paul Newman, plays the charismatic gang leader that everyone wants to be while Choi Min-sik puts on a great show as anxious, ratty and corrupt civil employee who finagles his way to the top of the Busan gang scene in the early 1990s. Brown-tinted hues, terrific smokey sets and bespoke costumes ramp up the atmosphere while the sly and unique Korean system of hierarchy allows for an unlikely rise to power. shouldn't it be - but it's executed with such panache that it's hard NOT to fall in love with it.